US Open 2014: Turning back the sands of time...it feels like 2012 all over again! Hold on! Is it 2012 all over again? Rest assured that it is in no way a reference to an impending doomsday or the similarly titled movie out of Hollywood that strove to show it’s version of how it would all go down in the end. Just that the goings on in tennis land this season have mirrored events from two seasons ago as we touch down in New York for the final Grand Slam of the year, the US Open. Much has been made about how modern tennis players are that much faster, stronger and sharper than those of previous generations leading to a widely upheld exhortation that tennis is indeed a young man/woman’s game. And for much of the time that is the case as the game’s senior citizens end up getting pushed around and aside by the younger crop. Yet, how queer, that coming into this year’s final Slam, all the talk is about one 33-year-old man and one 32-year-old woman both going for major number 18 of their career at Flushing Meadows. 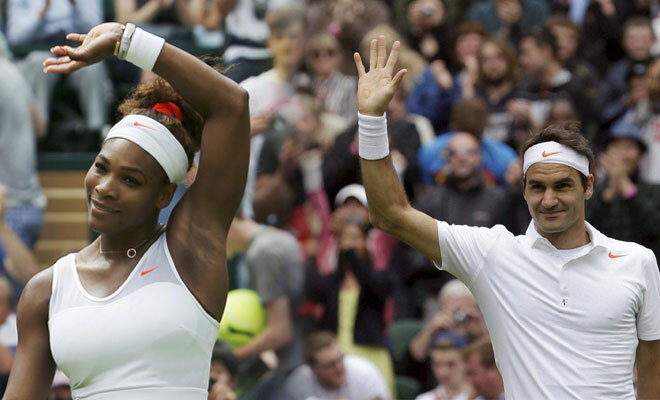 Swiss Roger Federer and American Serena Williams have been anointed the ‘overwhelming’ favourites no less to walk home with the winner’s trophy at the end of a fortnight of action. If you loved the symmetry in the chase for the 18th title above, you will love this next one - if the duo do indeed walk away as champions at the conclusion of affairs in New York, it will be a sixth US Open crown for both. There are reasons for the rather cheerful disposition to exist around the two savvy veterans. They are the form players coming into New York having been the best performers in the US Open Series events in the lead up to the big one. Another thing in their favour would be the not so impressive form of their peers at the top of the rankings pile. Add to that- just the added romance and ‘feel-good’ nature to a story of the veterans showing up their more sprightly opponents on their way to silverware. You’ve got a healthy dose of content - some sensationalist, some rather more grounded - elevating the title prospects of the two leading lights of the men’s and women’s games smattered across the back pages of your newspaper and the tennis section of online sports domains. Three out of seven experts on this very website have picked the Swiss man to beat the others to the punch and emerge the winner while all, but one of them have handed the title to Serena Williams in the women’s section. Not withstanding the extremely cheesy tagline courtesy Nike, there is no discounting the fact that Federer’s 2014 has been sort of a renaissance year. Federer’s refreshing form this year has been like the feeling that you get, when you go to your favourite pizzeria and discover that they’ve come up with a new sauce which works pretty well, allaying all your fears after they stopped producing your old favourite variant due to persistent issues. Presence of a bigger racquet face, a new voice in the coaching corner and new twins (I’m sure they’ve helped) and the absence of any limiting injuries have served the 17-time Grand Slam champion well as he has mustered up a 49-9 season so far, the best on the ATP tour. He has won three titles, including one Masters 1000 title at happy hunting ground Cincinnati just recently. While he has not won a Grand Slam yet this year, he was mighty impressive at the Australian before trounced by nemesis Rafael Nadal in the semis and came ever so close to winning once again on the hallowed lawns of SW19 in a classic final against Novak Djokovic. 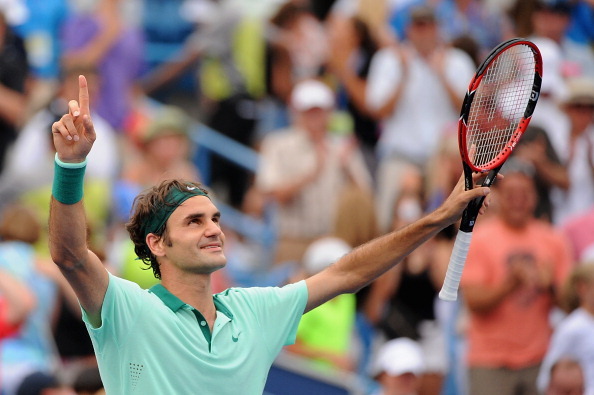 He is on a run of having made four consecutive finals, being victorious in two of them – Halle and Cincinnati. This recent form was of course in continuation to his superb start to the season that saw him make four finals in the first half as well. He won in Dubai while losing out in Brisbane and the two Masters 1000 finals in Indian Wells and Monte Carlo, but the tone was set – Federer was enjoying his tennis once again and some of the confidence of old was beginning to return. Much of Federer’s 2014 has mirrored 2012 right from the start. He made the semis at the Aussie, falling to Nadal just like in ‘12. He won in Dubai just as he did that year and followed it up with a run to the final at the first Masters 1000 event of the year at Indian Wells. This time though he finished runner-up. After a clay season that brought more cheer off the court following the birth of his second set of twins, Federer returned to string together an impressive run since the beginning of the grass court season. And he did likewise in ‘12, with the results being reversed – falling in the final in Halle to Tommy Haas, while winning Wimbledon beating Andy Murray. As a matter of fact, he was on this very exact run of having made four straight finals going into the US Open (Halle, Wimbledon, Olympics, Cincinnati winning two of them). What happened to him at the US Open that year? He lost to an inspired Tomas Berdych in the quarter-finals. And since we’re talking about repeats, that could well happen again as the Czech is in Federer’s half of the draw, but their possible meeting will happen in the semis this time. Serena hasn’t had the best of years so far in 2014 having drawn blanks in each of the three preceding majors, a very unusual situation for her. But her struggles have largely come in the Slams as she has won five titles this year including her first ever triumph at Cincinnati. Just as in Federer’s case, there is an eerie resemblance between Serena’s record of this year and that of ‘12. 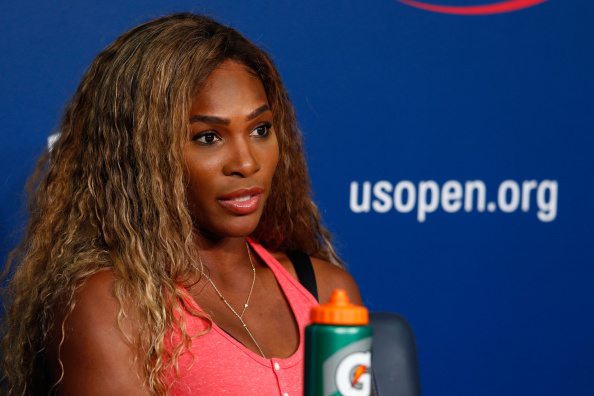 Serena lost at the hands of Ana Ivanovic in the round of 16 at this year’s first major and fared likewise in ‘12, losing to Ekaterina Makarova. She suffered a humbling defeat to promising Spanish youngster Garbine Muguruza in the second round of the French Open; in ‘12 she lost in the first to Virginie Razzano. While she shockingly fell to Alize Cornet in the third round of this year’s Wimbledon, she did win the grass major in impressive fashion in ‘12 beating the No.2, No.3 and No.4 seeds en route to the title. And coincidentally, she walks into Flushing Meadows this year with the exact same number of titles as in ‘12 – five – after having pocketed the gold medal from the Olympics that year. 2012 also saw the first three Slams go to three different winners and Maria Sharapova being triumphant at Roland Garros just like this year.